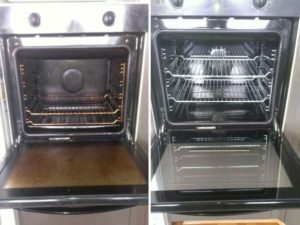 We now offer an ‘Oven Door Only’ Cleaning Service where we will come to your home and clean the inside and outside of your oven door for just £30! 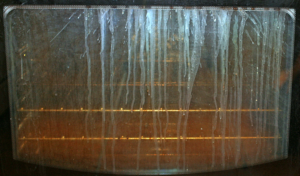 Is there anything more annoying than when that bit of carbon or food gets stuck in between the glass on the inside of your oven door, compromising the look of an otherwise spotless kitchen? The answer is no there isn’t! And for that reason we are offering a brand new ‘Oven Door Only’ service. We will come out and make this annoying problem go away for £30 only. This means you don’t have to pay the full price to get your oven re-cleaned, you only have to pay for what you need cleaned. 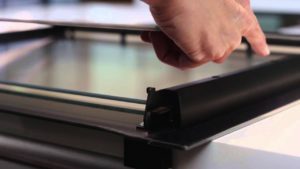 One of our skilled professionals will carefully remove the door from your oven, take it apart and give the inside a deep clean using our non-caustic, eco-friendly treatments before re-assembling the door. All of this for just £30! Bring the Sparkle back into your Kitchen! Give us a call on FREEPHONE 0808 590 0965.